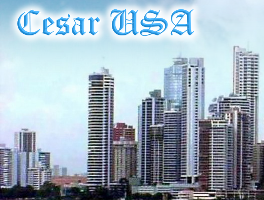 CesarUSA.com - Software, Real Estate, Fashion Modeling - Advertising, Translations, Proofreading, etc. This is our mobile friendly page (narrow page). For a full sized (PC) page please click here or here. We promote models, artists (singers, dancers) and people with other talents, professions y services. Free web page for models. Nosotros promovemos modelos, artistas (cantantes, bailadores) y personas con otros talentos, profesiones y servicios. Página gratis para modelos. Minors who want to model with us need authorization from at least one of the parents or from the legal guardian. Pplease use this link to download and fill out and authorization forms that can be emailed to us. Los/las menores que quieran modelar con nosotros necesitan una autorización de por lo menos uno de los padres o del guardian legal. Favor de usar este enlace para llenar una de esas planillas y enviarnoslas por correo electrónico. Copyright © 2000 to present CesarUSA.com and CesarInternational.com. All Rights Reserved.